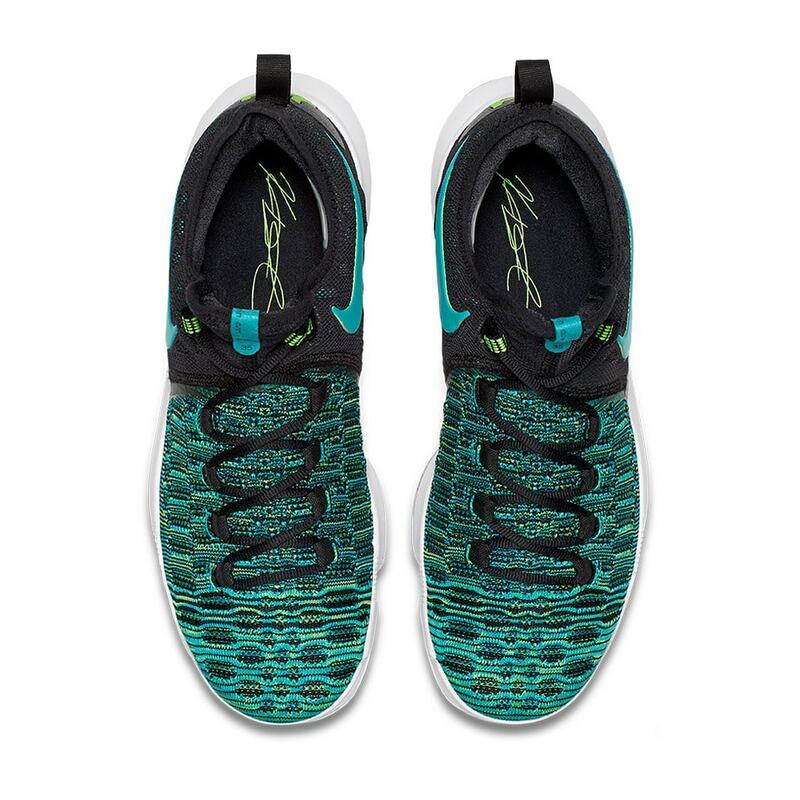 While Kevin Durant is currently in Greater China, making stops at places like Guangzhou, Hong Kong, and Taipai during his week-long Nike Basketball tour trip, Nike unveiled a new KD 9 colorway. 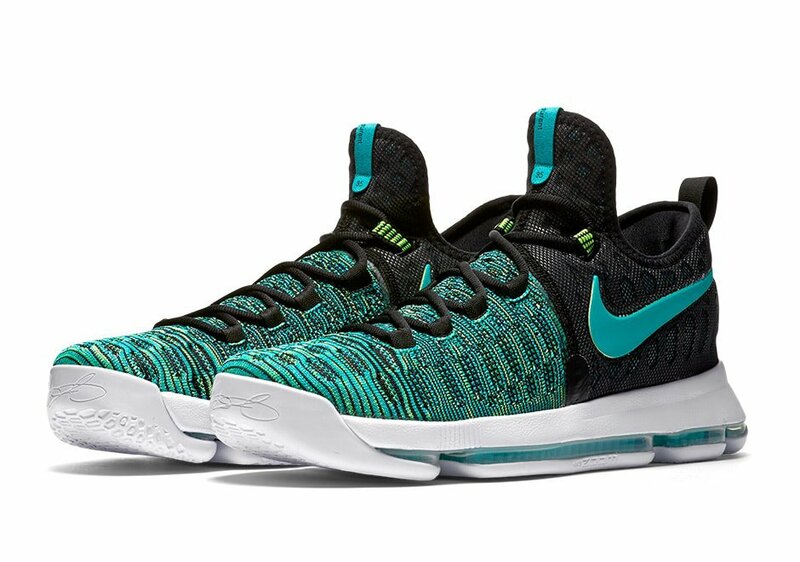 The Nike KD 9 “Birds Of Paradise” features a two toned clear jade and black flyknit upper, with a matching clear jade swoosh and black laces. 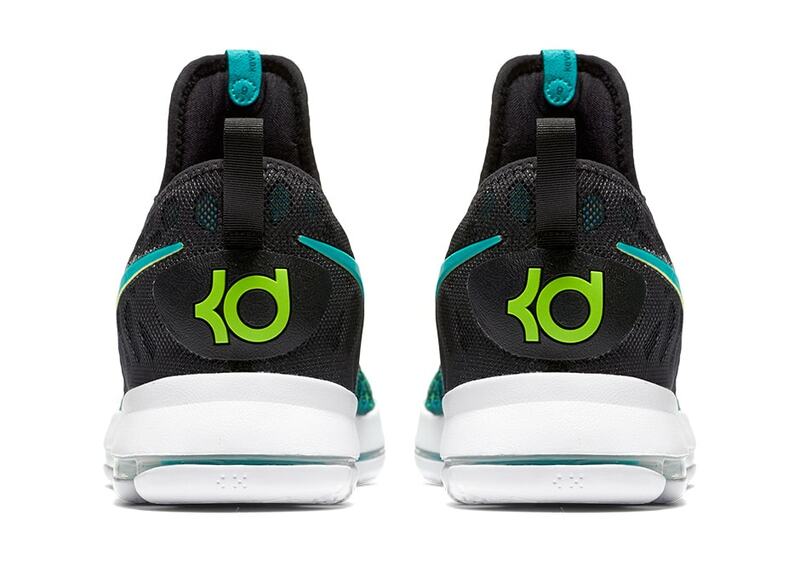 The shoes also feature a white midsole and outsole, along with a clear jade cushion and volt tints. 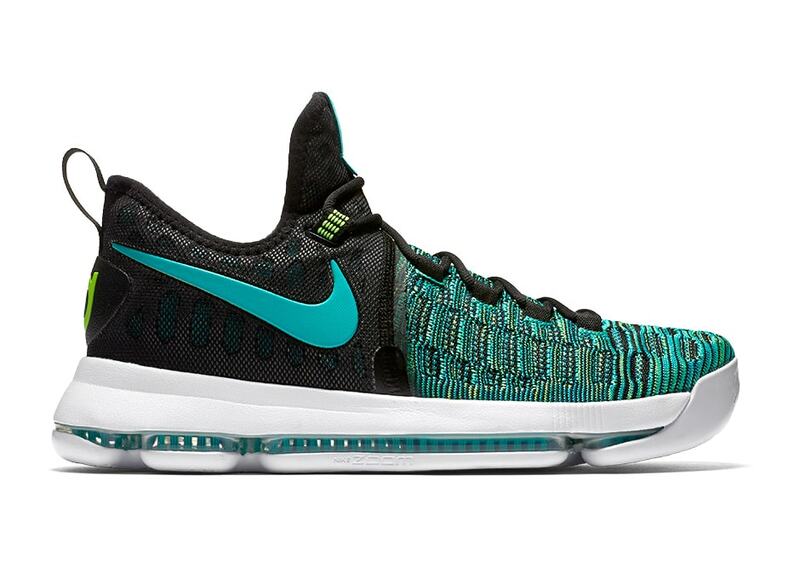 What are your thoughts on this new upcoming KD 9 colorway? Be sure to let us know in the comments section below. Continue reading to view the release date & more photos, and stay tuned with JustFreshKicks for more updates. 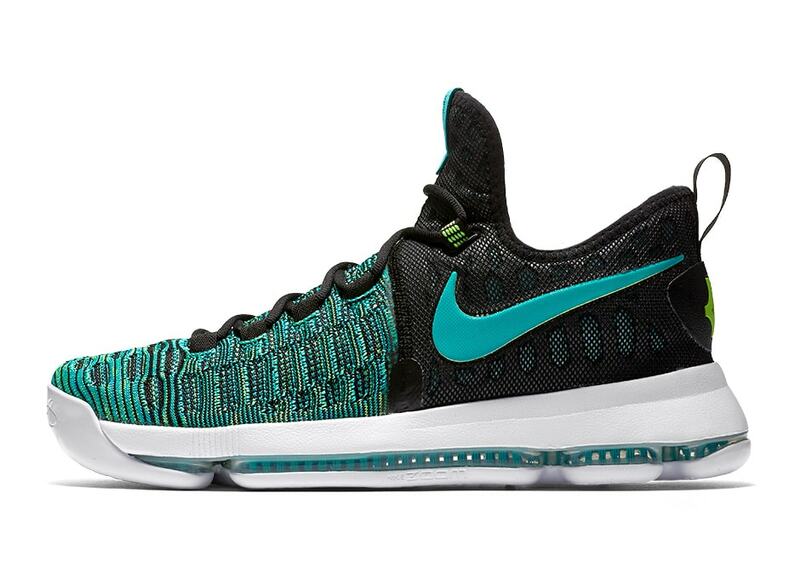 The Nike KD 9 “Birds of Paradise” is to release on August 19th at select Nike Basketball retail stores & online. The retail price tag is set at $150 USD. Stay tuned for release links.